Very massive stone house with lots of space. Very complete house with large garden. Beautiful property in the north for a great price. Beautiful solid stone house with a great view. Small, but nice house at a location with lots of privacy. When you decide buying a property you will want everything to be handled perfectly. We offer full guidance on handling the purchase of your property. We will do whatever we can to guide you through the procedure. Everything will be handled by the Hungarian (mostly English speaking) estate Agents and/or mediator and of course the lawyers. This is an advantage for you as buyer as they will guide you through the contract and completion as well as the transfer of your electricity, water connection etc. They know the way, it is their job and they are pleased to be at your service. All is explained by the name. "Magyar Ház" is Hungarian for"Hungarian House". Looking for assistance on any other area than our 'full estate agency service' ? We may be able to help you searching for that special house, or assist you in case you have already found your house; wish to start a business; need a solicitor; wish to refurbish or renovate?? Look at the page for services, or send us a mail and we may be able to help. Please check out the buying procedure to see if there is an oppurtunity for you to buy in Hungary. Not everyone is allowed to buy. Also good to know that a Hungarian House does not give you any permanent residence or so. Also no right for a VISA. We work in nine main areas and you can find a total overview on this map. For the country site, let us start west. Best access (by car) to Hungary is from the West. In the province Vas, nearby Austria, we have offerings in the area of Sárvár. Nice green area. Sárvár has a famous thermal bath and Vienna is within 120 – 150 km. Also Balaton within an hour. Great combination. Lake Balaton is very well known and we have offerings west of Lake Balaton with Hévíz and Keszthely as the centre. Very nice and touristic area with of course Lake Balaton, but also the thermal lake of Hévíz. Also nice area to rent out your second home. Bit South of Balaton, in the area Balatonboglar – Marcali there is a nice hilly area, lots of wine yards, really Hungary and not too far from Lake Balaton and bigger cities. Here we can offer you houses in a very good price range. For about £ 12.000 or € 15.000 you can already buy a nice house. If you look more south we offer you a lot of good priced properties in the province Somogy county, in the area around Dombovar - Kaposvár - Nagyatád. Here, in small(er) villages you buy good quality for good prices. Same offerings a bit more south in the province Baranya. This in an area South of Pécs - Mohács. These are west of Budapest. Travelling more to the east of Hungary you will find Budapest as the capital (and also centre) of the country. South of Budapest we have very nice offerings of houses/farms with lands of around 6.000 m2 and sometimes even more. Here you can still find the older Tanya (former farm) with lot of privacy and big lands for very good prices. Then east of Budapest you will find the more authentic Hungary. Bit older, not that modern, but lovely villages and nature. Here we offer houses around Tisza Lake (Tiszafüred and Abádszalók are the centres) and in the Northern Mountains (Bükk mountains) in the villages around Eger – Miskolc. As you see quit a lot of possibilities, so looking for your Hungarian house?, I am sure we can help you! The house we offer gives an oppurtunity for everyone. You can already buy from GBP 4,000. Obviously this is not an immediately habitable house, but a building with walls and a roof. From GBP 8,000 you will buy much better quality and a house that is possible to renovate. From GBP 10,000 up you have something that you can instantly use for your holiday, or even permanently to live in. 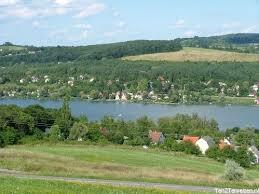 Property of more than GBP 50,000 will be or very large, or you pay for the location, such as near the lake. In short, for all possibilities and amounts you will find posibilities. At Hungarian Houses, of course prices still include all costs (excluding tax). First step can be going to Hungary and meet with the agent/mediator. If you want to buy, you can start the purchase process if you are in Hungary, but can also be arranged when you return home. Through the mail and the post much can been done. Here you can read more on the buying process. Exchange rate for the Hungarian forint! We are trying to work with the current rate as accurate as possible, but rates can changing every day. For the current rates please check Hungarian OTP bank. To see more on the history of GBP - Forint you can have a look here. We operate by appointment only. The team of Hungarian Houses (Magyar Haz) is delighted to help you realize your "dream in Hungary". If you have any questions about rules and regulations, investments or anything else, please don't hesitate to contact us.